The first time I got to know about Lost in Space was when I came across a poster of it on a billboard while driving by. This is a Netflix series so you need to have a Netflix ID to watch it which I did not at that time. I saw that poster for a few days everyday until they removed it but I never really watched the show. All I thought by looking at the poster was that it looked like an interesting one. A few days later the poster was removed and I forgot all about it. Recently, a new Indian series called Sacred Games was premiered on Netflix that everyone was praising so much. I decided to give it a try and signed up for Netflix membership. 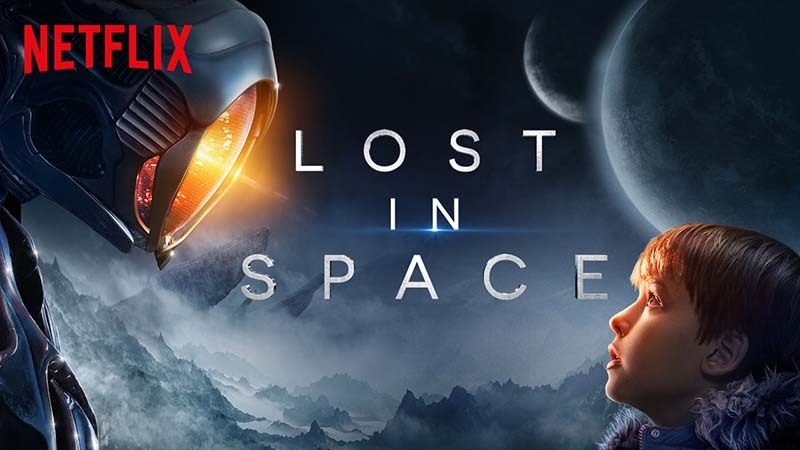 After watching Sacred Games, I started to surf through the list of other TV shows; and that is when I noticed this name again, “Lost in Space”. I immediately wanted to watch it but thought to read a few reviews first. Surprisingly, most of the reviews I saw on IMDB were negative; slamming the show for being good on visuals but really bad on all other fronts. My mind however was already made up; and I anyways was signed up for Netflix. So despite all the negative review, I still decided to watch the show. Turned out it was actually a good decision because I really enjoyed this series. I am not really sure what all the negative fuss on IMDB for this show is all about. It seems most of these people didn’t even make it past the first episode. Because the story actually starts to roll after the first couple of episodes in a very interesting way. It is a great series with some stunning visuals and and entertaining story. The effects are superb; the story is an interesting with plenty of comedy, drama, horror, secrets, lies, manipulations and deceit; a fun ride actually. It is the tale of a family that gets lost in the space while traveling from Earth to another planet. How they survive in space and an alien hostile planet is what its all about. It is quite a simple story. The family work well together and you really want to know more about them. Parker Posey plays the role of manipulative Dr. Smith so well that you will actually start hating her. The Robot was simply awesome. Watch the show and enjoy it. In the end, this show has a great balance of good acting, reasonable story, amazing visuals as well as thrills. Don’t listen to and believe any of the negatives reviews. The series of course has its own flaws but what or who is perfect anyways? Keep an open mind and watch Lost in Space. I guarantee you that you will enjoy it.